This year Hammonds celebrates its 90th birthday. It was in 1926 that the young Thomas Stanley Hammonds founded the company, and it has remained in the Hammonds family ever since. 2016 also marks another important year for the company, as Hammonds launch a new identity and retail concept for the brand, which has been created for them by design consultancy D4R. The new branding is designed to elevate Hammonds, positioning them as an inspirational yet accessible brand. 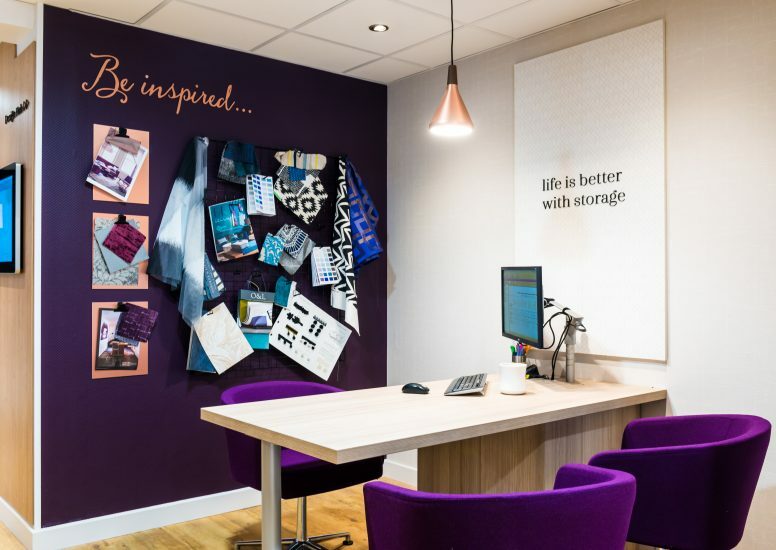 "The thinking behind the new identity and showroom concept, was born out three brand drivers at the heart of the Hammonds' Brand." 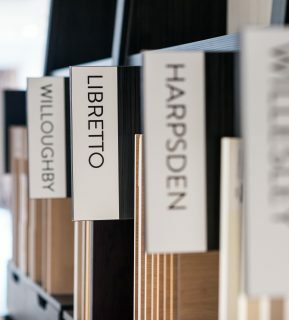 Firstly, the importance of ‘Designer Knowledge’- that customers can rely on Hammonds’ designers, to not only design the best fitted furniture in the market place, but that the designers’ expertise comes from a place of knowledge of the latest trends and inspiration. Their designers also have the ability to judge which of these (trends) will appeal to the discerning Hammonds’ customer. 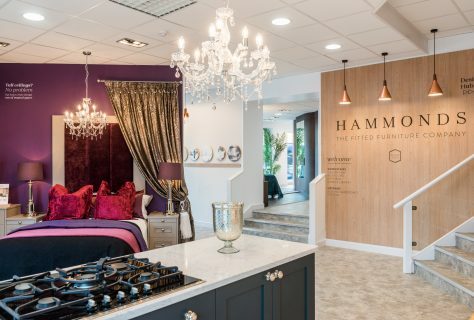 Secondly, ‘Storage Solutions’ – whether in the bedroom, kitchen or office, whether you’re a shoe lover or a suit lover, a messy chef or a master chef, Hammonds will create a bespoke storage solution just to suit your needs, where everything has its’ place. Finally, that everything is done the ‘Hammonds’ Way’, placing importance on letting customers know, that unlike many of their competitors, Hammonds do everything in-house from start to finish at their workshop in Leicestershire. This ensures quality, control and the highest levels of customer satisfaction, which they coin in the phrase ‘it’s just us from start to finish’. 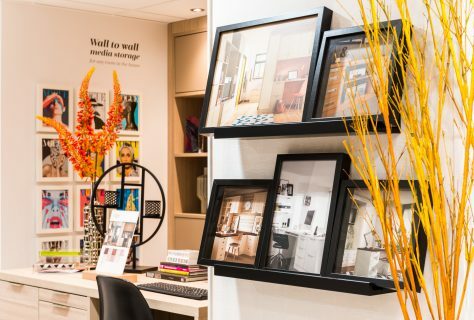 As well as being communicated to consumers individually, together these factors informed our design approach to all brand touch points; from the typography and the tone of voice of the language, the colour palette and art direction of the new photography, through to the layout of the new showroom concept. The design heritage and traditional values of Hammonds, which are so important to the company, are reflected in the new identity, which has a contemporary, yet classic feel, worthy of a brand with Hammonds' reputation. 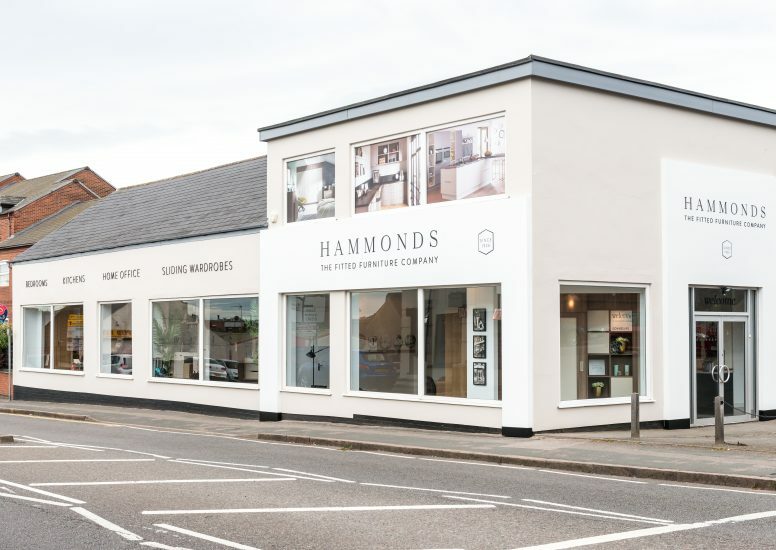 The identity also features a strap line, which refocuses the consumers' mind to view Hammonds as 'The Fitted Furniture Company' of choice; a statement which also describes the breadth of their offer, supplying not only fitted bedrooms, for which they are so well known, but also kitchens, home offices and sliding door wardrobes. 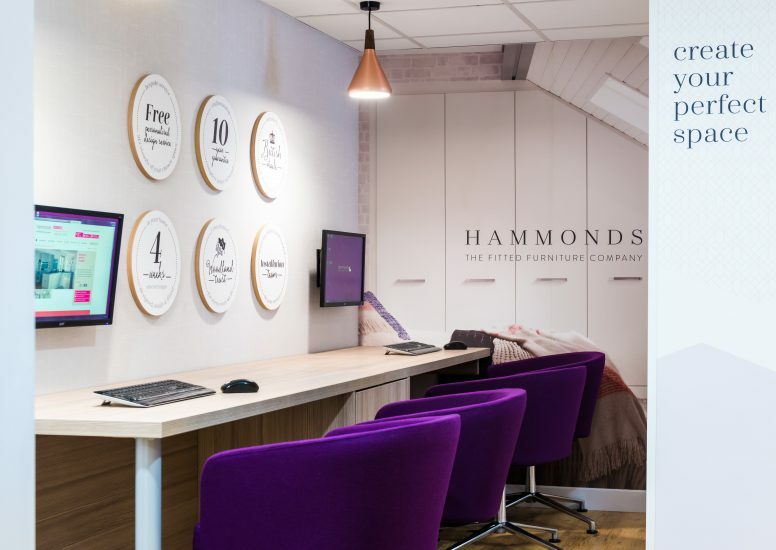 Adding the ‘since 1926’ crest provided a seal of endorsement alongside the logo, which marks Hammonds’ 90 years of experience in delivering quality fitted furniture. 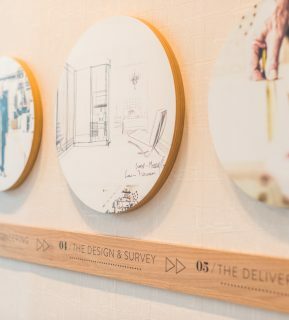 The form of the crest is also used as a brand mark, which becomes part of Hammonds’ visual language conveying product benefits to consumers, and replicated it creates a brand pattern, which can be used as a graphic backdrop in print, online and in store. Along with the identity, we created a new tone of voice for the brand to be used across all customer facing communication. 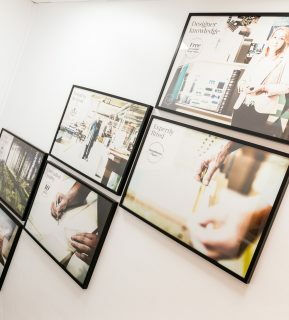 This extends to a revised colour palette which complements the identity and brand positioning, whilst a fresh approach to a new set of photography provides a glimpse behind the scenes, where we see Hammonds’ skilled experts and craftsmen in their working environment. 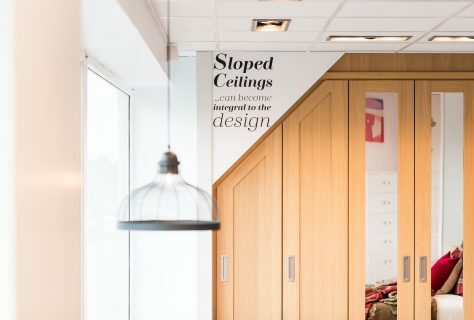 The narrative (with copywriting also provided by D4R) and typographic styling is editorial, from the language used to introduce Hammonds' designers (and other experts) to customers, to the description of their fitted furniture collections. Whilst a more conversational tone conveys Hammonds' key service messages, communicating the values and guarantees that differentiate the business from their competitors: - their pride in being exclusively 'British Made', their 10 year guarantee, the four-week design to fitting delivery promise and their longstanding involvement with the Woodland Trust, planting a tree for every room they fit.